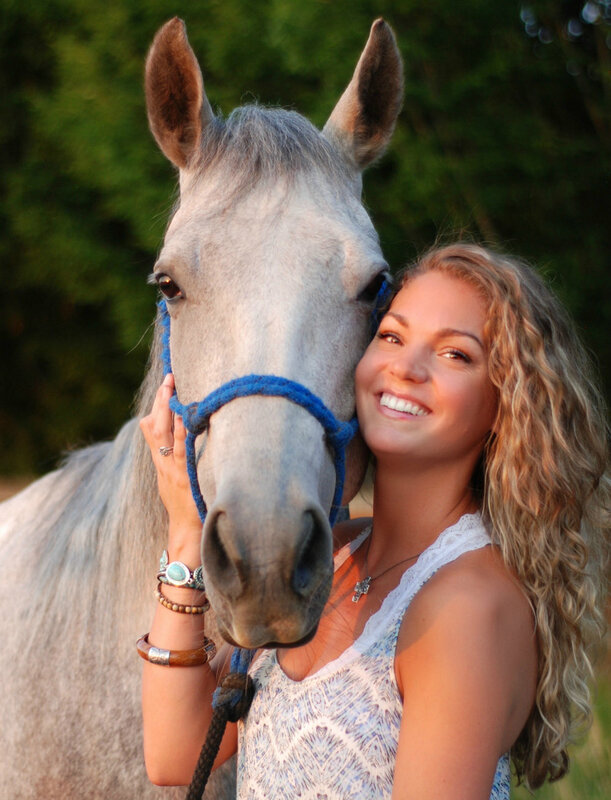 Kaelen works with women and men who are ready to unlock their inner power through working with horses and helps others align to their own magic. Through a process of experiential learning and activities with horses, clients can discover their innate wisdom and courage to chase their dreams, and live life whole heartedly and confidently. In this workshop, you will be lead through a simple yet profound exercises to walk with a very special horse, named Steele, through a series of obstacles. You will be guided and coached by Kaelen to reflect upon your experience to take away insights that are most aligned with your heart and your soul. Horses heart energy has been scientifically measured to sync with a humans over 20 feet away. With their presence, horses can also help humans connect more fully to their own energy and vibration. Come play, learn, and experience your intuition, inner power, and energy in a new and exciting way. Take away insights from the horse, that you can then apply to your own life, in a multitude of ways. The learning will be beneficial in many areas of life including relationships, self love, career, health, and spirituality. In this class, you will be guided through a visual meditation with a horse present to connect to your own inner nature. Then, as a group we will collectively draw and read from the Wisdom of the Horse Oracle. After the messages are read, the circle will be opened up to anyone who would like to deepen their experience and discuss how to apply the message from their card into every day life. Open life coaching and connecting with the horse will be available for those who feel called. This workshop will be open to anyone who would like some help navigating their own energy, intuition, and results by working with a horse in a life coaching and experiential learning setting. Discover what your energy says about you, how you show up, and how to shift your energy easily and into alignment with what you really want and who you are (and what that feels like if you don't already know). Connect with horses and others on a deeper level, before language, thoughts, and ego. We are so excited to have Kaelen with us at Samsarafest 2019! Check back for the spring festival schedule. Help us welcome Diane Wicklander and her heartwarming gifts!